However, when I click Continue, all that happens is a dropdown appears asking me to continue, then when I continue, nothing happens. I have no idea why this is happening, does anyone have any feedback? 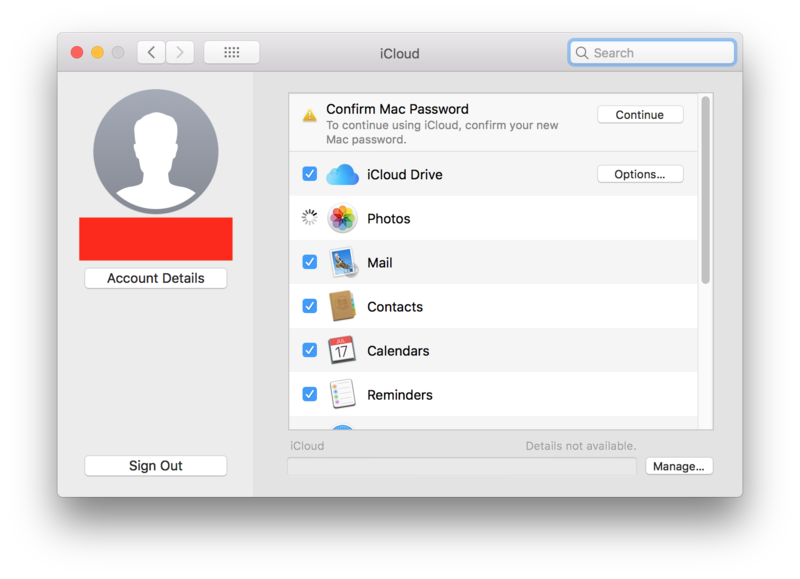 Try signing out of iCloud and then signing back in again. Not the answer you're looking for? Browse other questions tagged icloud password system-prefs .